Salute Marvel's star-spangled Avenger! This embossed tin sign features the comic version of Captain America in front of his logo. 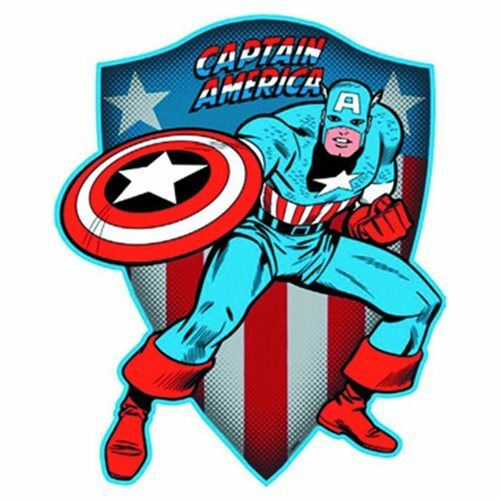 The Captain America Die Cut Embossed Tin Sign measures approximately 10-inches x 12-inches. Ages 13 and up.